Picasso signed his paintings. Rodin signed his sculptures. And the Founding Fathers signed the Declaration of Independence. So it makes sense that you should sign your masterpieces -- Namely, the steaks, hamburgers, and other tasty meats you barbecue with such loving care. 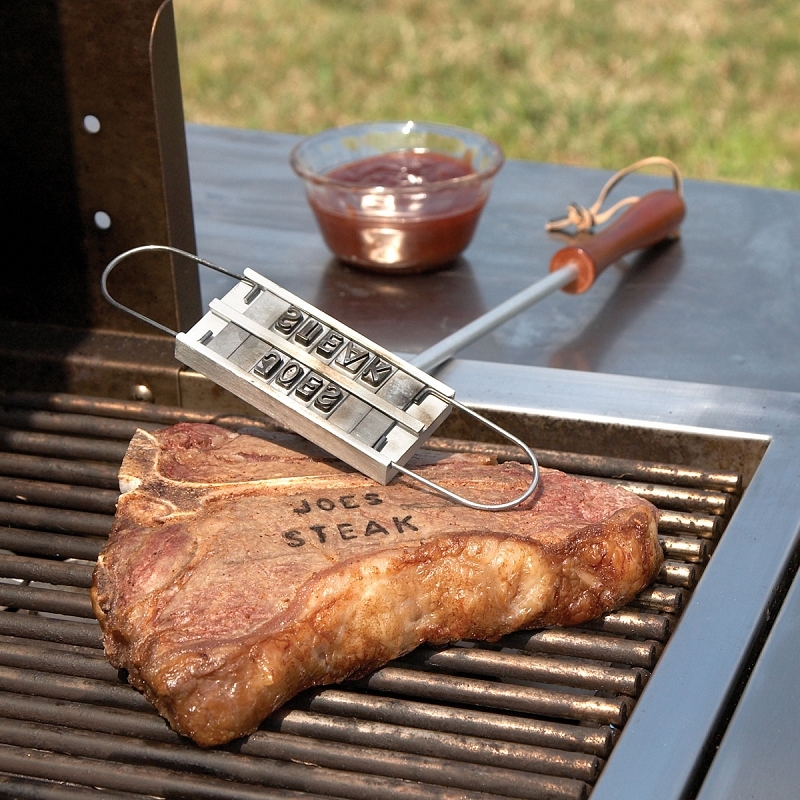 The BBQ Branding Iron let's you leave your personal mark on your handiwork that will last forever--- or until someone eats it. It's a brilliant idea, and perfectly designed. 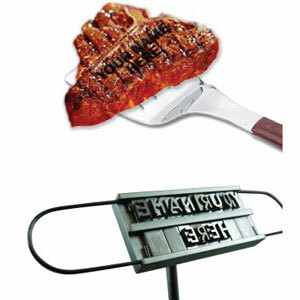 The BBQ Branding Iron consists of a branding iron with interchangeable metal letters, so you can insert any message you want. Put your name, your pet's name, the name of the animal you are cooking --- anything at all. Your guests will be AMAZED when you serve them a hamburger emblazoned with "Grilled by Albert" -- especially if your name is Albert! 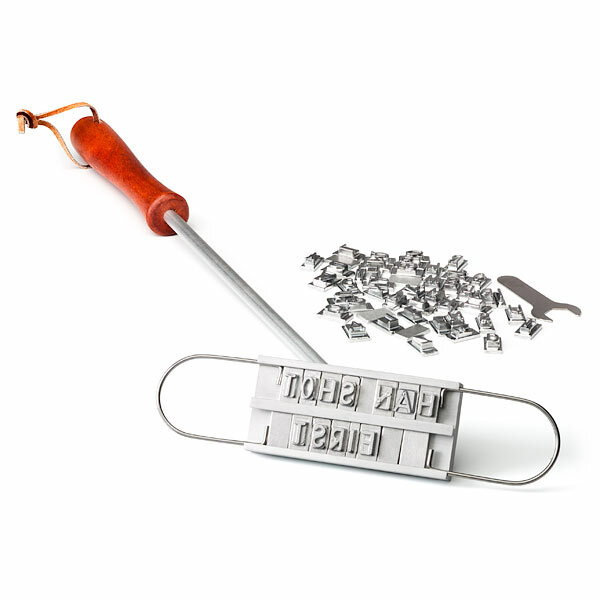 You get everything you need in this incredible kit -- branding iron, letters, and a tool to lock the letters in place. Just read the easy-to-follow instructions and you are ready to make your BBQ sizzle!